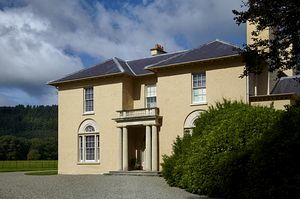 Llanerchaeron is one of a few Welsh gentry estates which have survived intact to the present day. Once a self-sufficient estate with its own 670 acre (270 hectare) Home Farm, dairy, threshing barns, laundry, salting house and brewery, Llanerchaeron continues to be worked as an organic farm with the atmosphere of a bygone era. Set in the scenic Aeron Valley, a short distance inland from Cardigan Bay, the estate remained virtually unaltered from when the house was built in 1794 to when it was bequeathed to The National Trust by J. P. Ponsonby Lewes in 1989.
the The Royal Pavilion Brighton. Ten generations of the Lewes family enjoyed life on the estate for almost 200 years. The mellow two-storey Regency-style villa has been carefully restored. It was built of stucco with a local slate roof. Look for the false window at the front of the house which was added to maintain the symmetrical look of the facade. The interior of the house is impressive yet not overwhelming. Plasterwork friezes, a magnificent central staircase and basic furnishings lay this out as a family home which was lived in and well-loved. 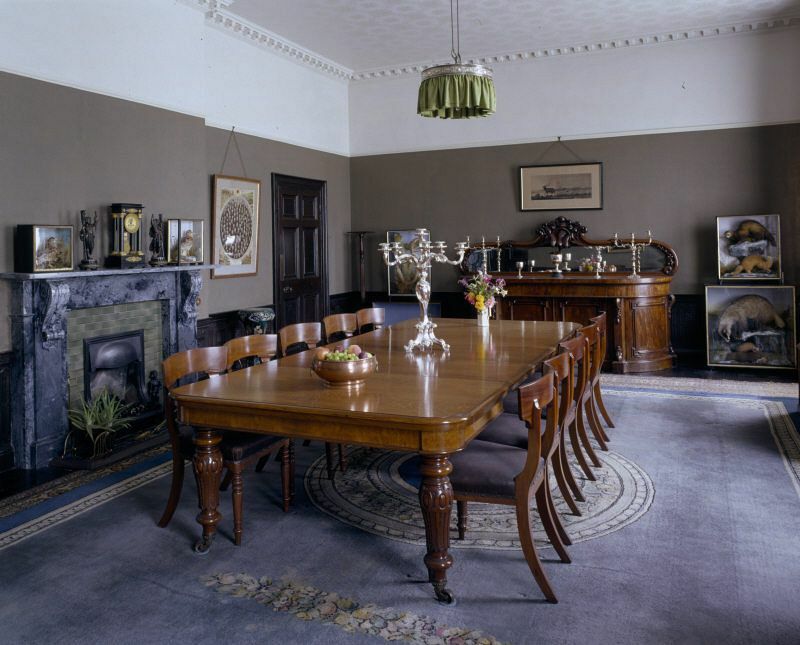 The drawing room has dark ebonised furniture and walls hung with family portraits and hunting trophies. Upstairs there is an oval boudoir and a dressing room with curved doors and purpose-built furniture in the niches. Brass wall brackets which once held oil lamps still hang on the landing walls. moss until its recent restoration. The farm raises Welsh black cattle, Llanwenog sheep and rare welsh pigs which can usually be seen in the fields. In season, shearing and haymaking can be watched. 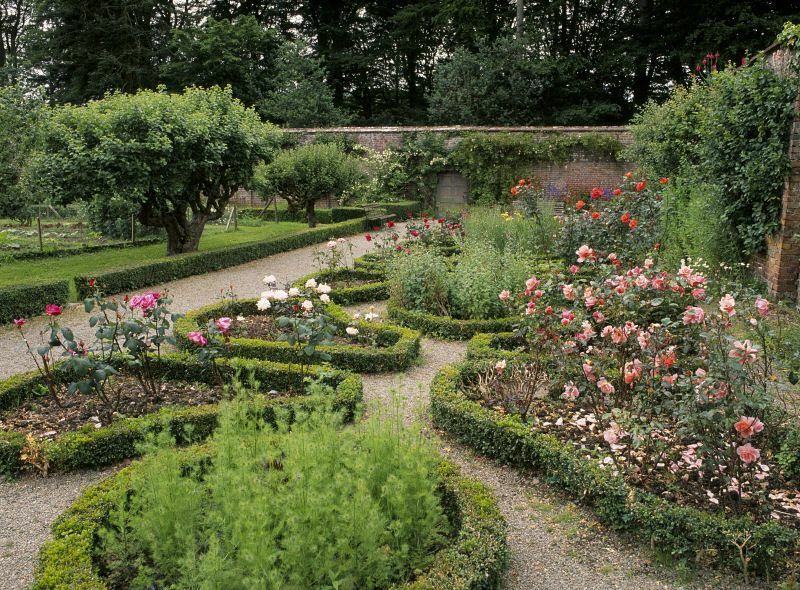 Llanerchaeron has two walled gardens covering an impressive two acres, now restored with gravel paths, box hedges, greenhouses and ornamental features. Thursday is local garden volunteer day, should you be interested in being involved! The gardens produce home-grown fruit, vegetables and herbs which are sold in the shop towards the upkeep of the property. Local cider, beer and jams are available throughout the year and homemade cakes and light refreshments are served in the cafe. The estate, with its ornamental lake and surrounding parkland, offer plenty of walks in the beautiful countryside. The abandoned tracks of the former railway run through the estate and can be used as a cycle trail. There is a picturesque church and churchyard en route to the Aeron River. Bordering the walled garden is an area of mature woodland which would have been planted to create "pleasure grounds" for the family and is now the home of native birds and wildlife. Arriva/First X40 Aberystwyth -Carmarthen , alight New Inn Forge, ½ mile. 2½ miles east of Aberaeron off A482. 2½ miles foot/cycle track from Aberaeron to property along old railway track.